The post-harvest treatment to preserve several food items may lead to change in chemical and physical properties, this may results in change in organoleptic properties and sometimes lead to swelling (causes deterioration). Minimal processing is the technique involving mild heat treatment and preservation of food items using various methods that cause least change while processing. 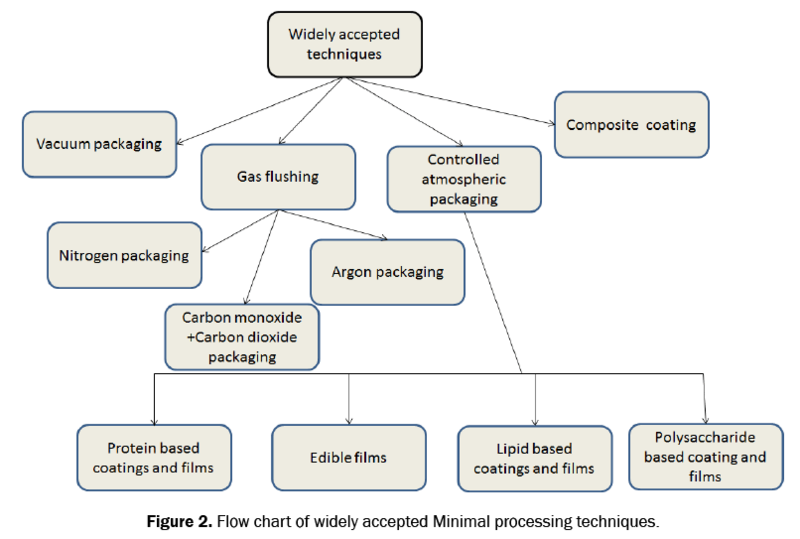 In this review, the selected techniques of minimal processing used in various food industries are focussed. The major problem while processing food materials are change in organoleptic properties, by taken this into consideration packaging techniques involving controlled atmospheric packaging and gas flushing along with the combination of several techniques based on the nature of food items are also brought under this processing techniques. Edible film and coating such as protein based coating, composite coatings are plays a major role among all other minimal processing techniques. This review provides a basic information and overall view on selected minimal processing techniques. • In order to improve organoleptic properties and to maintain nutrition value with the concern of microbiological safety, optimization of traditional preservation methods are implemented. • Use of mild heat treatment techniques and sometimes without the use of even mild heat treatment such as, post-harvest technologies, protective microbiological treatment etc. These techniques are collectively known as novel preservation techniques. • To obtain synergistic effect, combination of various methods and techniques are used (Figure 1). 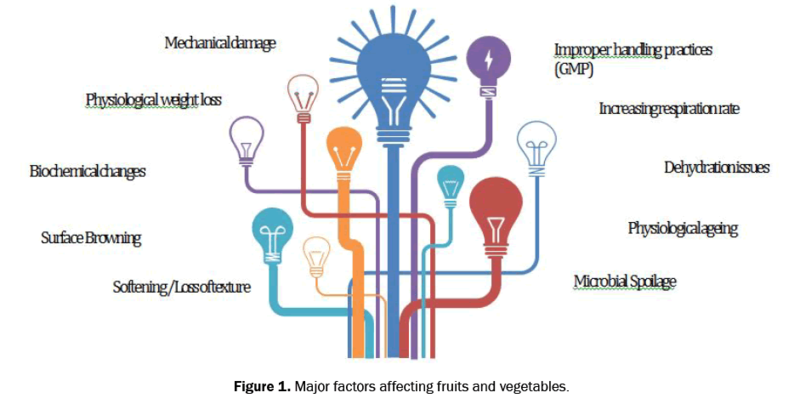 Figure 1:Major factors affecting fruits and vegetables. To bring the availability of fresh foods in the market in terms by increasing its stability and nutritional properties various barriers, minimal processing technologies are evolved. Several approaches are emerged to preserve the products based on surface preservation by coating etc., and several mild heat treatments, different packaging techniques without affecting the nature of product (Figure 2). Figure 2: Flow chart of widely accepted Minimal processing techniques. There are several different methods are involved in this minimal processing to prevent the natural character of fruits and vegetables. In this reviewed article the important and widely used methods are discussed. Sealing of product in an impermeable membrane after the process of removal of air inside the membrane is the process of vacuum packaging and this process is considered as modified atmospheric packaging which is widely used and accepted technique. This method is mainly used to increase the stability of food product more than that of normal refrigeration life and also prevent the browning reaction occurs on the surface of the high perishable products during cutting or damaging by several actions . Oxygen is the major requirement for bacteria, yeast and mould to grow. By removing the air that surrounds food will inhibit the growth of bacteria. The oxygen level drops continuously when the air is removed this will lead to the level of carbon dioxide gets increased and this environment is not suitable for the growth of spoilage microorganisms it will be good economical method to improve shelf life of various food product. Mostly the perishable food that prone to transport and storage are packed by this method and this packaging sometimes need refrigeration because some organism are resist to carbon dioxide. This process has several advantages, it reduces the product shrinkage and the moisture loss, so the mass of the product will not affect until the package gets damaged. Vacuum packaging pouches are made of finest virgin material in a thickness suitable for handling, shipping and storing with minimal care (Figure 3). 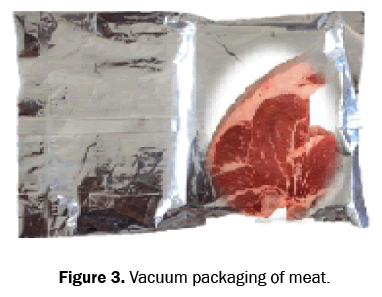 Figure 3: Vacuum packaging of meat. Modified atmospheric packaging is being used with different inert gases, mainly with nitrogen and carbon dioxide. This process is known as gas flushing. These gases act as a inhibitor for several spoilage microorganism in several ways of elevating oxygen from the atmosphere of product (Figure 4). 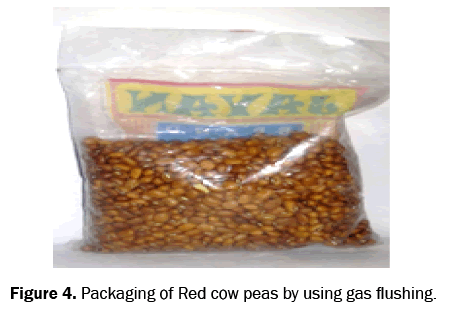 Figure 4: Packaging of Red cow peas by using gas flushing. Carbon dioxide is already been recognized as effect of inhibiting pathogen, when these gas is used in certain concentrations. This gas must be used in the range of 30-40% if this level exceeds, it will lead to discolouration of several products such as meat. Carbon dioxide sometimes absorbs by the product will results in pack collapse and this affect the moist rate. To overcome this problem, the combination of carbon monoxide within the limit of 35ppm is used . Myoglobin is a compound produce carboxymyoglobin when it combines with carbon monoxide and produce red pigment gives the color of bright cherry. So the discolouration of food gets reduced by using this method. Several clostridium pathogens will not affect by these method, it will only inhibit the growth of some spoilage microorganism. Nitrogen displays low or no antimicrobial activity on its own. This composition prevents pack collapse because this composition can’t have very low capability to dissolve in water and fat when it is subjected to modified atmospheric packaging. Nitrogen is added by displays oxygen in required level during packaging, it delays the oxidative rancidity and growth of aerobic microorganism. It is mainly used in nuts and perishable food packaging. It also acts as a filler gas and keeps flexibility of packaging (Figure 5). So far there is no certain limit for usage of this gas in several foods packaging because it doesn’t produce any adverse effect on food. For fresh cut vegetables the packaging uses 100% nitrogen and after 5 days of storage at low temperature it shows that that the level of oxygen and carbon dioxide as 1.2-5% and 0.5-3.5% a very low amount of adverse effect . 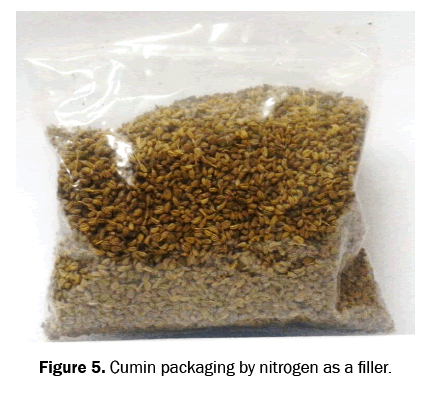 Figure 5: Cumin packaging by nitrogen as a filler. In several laboratories the use of argon for modified atmospheric packaging has been tested. From these results as a reference, in Europe the argon packaging is tried for several different food products and then it is prone to commercial uses. There are number of reason for using argon, it is much denser than that of nitrogen (1.43 times). The rate of transfer of oxygen is in high rate than nitrogen. During packaging with nitrogen, it is found that the trace amount of oxygen remains, it causes food to oxidize. To overcome this problem argon is used and it fills space completely (Figure 6). This gas also used to prevent the flavour deterioration by inhibit microbial oxidase enzyme that is responsible for oxidation . 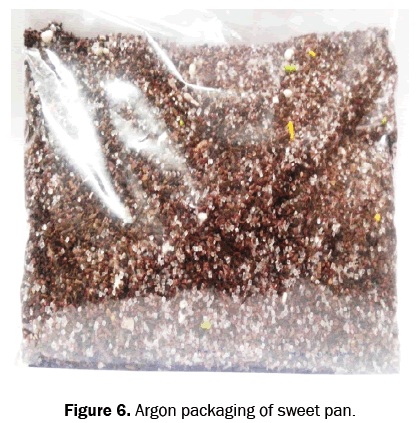 Figure 6: Argon packaging of sweet pan. It is the process involved in maintaining the atmospheric composition. This controlled atmospheric packaging involves in maintaining several parameters mainly temperature and relative humidity and also in control its optimum range, which is major factor involves in instability of food in case of its quality and safety. Several different techniques are evolved to maintain the stability of packaging and food which involves coating using several films, packaging using gases etc. To maintain the nature of product the coating on the outer layer of food material is followed and the materials used for enrobing is edible films. Nowadays food items are not consumed immediately after harvesting, it undergoes several different process within they reached to consumers such as transportation, storage, handling of product, different stresses are applied on the product. To prevent the loss of product composition, stability and nutritional loss that starts immediately after harvesting these edible coating are used. This will slow down the deterioration (Figure 7). 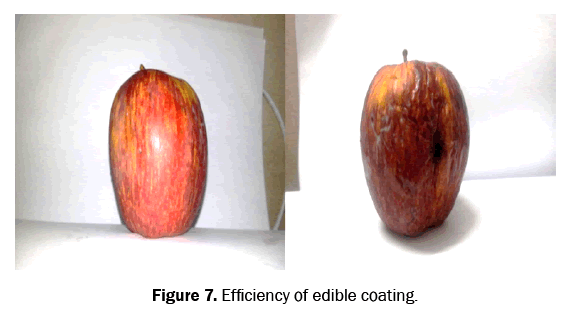 Figure 7: Efficiency of edible coating. The process of coating involves several different polysaccharides, the formulations used are starch, chitosan, cellulose, pectin and alginate [7-14]. The strength and structural integrity was provided by the films which acts as a barrier for oxygen aroma and oils but he drawback is it’s a hydrophobic nature which likes to hold moisture [15,16]. Because of their hydrogen bonded network structure and low solubility, tightly packed it act as a oxygen barrier . Fruits and Vegetables are easily undergone oxidation, to prevent its aroma nature and from contact of oxygen proteins are used for coating such as egg albumen, whey protein, casein, corn-zein, etc.,  but these are not acts as a moisture barrier [15,19-21]. The presence of side residues of amino acid inhibit polyphenoloxidase . Their owing to its network structure by hydrogen bonds, very low soluble nature it is used as a oxygen barrier . The presence of fatty acids in several proteins acts as a moisture barrier, the best example is a Whey protein. Compared to polymeric material degradation of protein is quite simple process and these are from renewable sources . Proteins obtained from milk prevents browning reaction in fruits and vegetables. There are several different types of lipid based material such as paraffin wax, selective types of oils, surfactants etc., are used for coating and these are acts as a effective barrier protect foods from agents that cause deterioation. This type of coating is mainly used to prevent the entry of moisture and water vapour because of its low poarity . The microscopic pores and higher solubility and diffusivity left a characteristics of partial oxygen barrier. Even though it has various advantages these are inflexible and opaque . This type of coating can be easily understood by the word ‘composite’, these type are composed of two or more types of coating materials. There are effective only when they are in good composition. Several proteins exhibit good mechanical properties, from this we can develop stable film system such as plasticized protein . From the research it is observed that by protein casein from milk and acetylated monoglyceride from lipid for apple and potatoes that are slightly processed is stable for upto 3days from moisture loss and oxidative browning . Quality of a product serves an important point in the market of minimal processing foods, the most noted quality attributes are safety of product, colour, flavour, nutritional value, appearance. These are based on the external and the internal factors but it is determined by the conditions of pre and post harvesting. Variety of plant belongs, ripening and maturity stage, these are taken into consideration before processing of foods because these play a vital role in marketing of foods . Appearance is considered as the most important quality attributes that exposes freshness and also attraction, these attributes falls into color dispersion, glossiness or exposure of product, defects in shape or structure of product. Colour change happens mainly due to ripening and also discoloration is due to oxidation, enzymatic browning when fresh fruits and vegetables are subjected to cutting. The other aspects are skin glossiness, wrinkling, blemishes, consistent size and dimension, wilting caused by several pathogens or by other environmental causes. The texture of food products is often showed by using specific terms such as firmness, toughness, crispness and sometimes juiciness . The nature of product can be easily collapsed by deterioration of products by several factors. This stability of structure can be easily identified by sense of touch, chewing of product and mouth feel. If it is oxidised the texture get collapsed and exhibit unusual low rigidity to the foods it may lead to intolerant smell. The crispness of product can also be caused by dehydration but it should not be taken into an account. Sometimes the quality of product affect adversely because of loss in juiciness of product. Flavour is due to the presence of free volatile components present in the sample. The most common tastes observed are bitter, sweet, astringent and acid taste. Ripening of fruit often defined by the sweetness of fruit. Acid level in the food also very useful in impart flavour and it is often affected during ripening and post-harvest stages. Bitterness is the off-flavour produced during improper storage conditions. Coldness also a major factor that limits or acts as a barrier for aroma development. The most important source of dietary fibre, minerals and vitamins are fruits and vegetables. The nutrition content of fruits and vegetables gradually decrease immediately after harvesting. To prevent these losses several techniques such as storage and packaging of materials should be considered. The loss of vitamins and minerals and some other compounds are due to cutting because it leads to the secretion of ethylene and this will be the main cause for increase in respiration and senescence. The most degradable vitamin is ascorbic acid, it is considered as the index for freshness this is mostly unstable in several fruits and vegetables. Nowadays several different techniques are used to produce minimal process foods. The use of non thermal techniques such as pulsed electric field, ultraviolet light, Ultrasonication, high pressure processing produce some adverse effect on the nature of product because of the mild production of heat and pressure applied during processing. Other techniques such as UV-C light treatment (200-280 nm) disinfectant the product but it will affect the flavour and surface rigidity and water-jet method is the industrial method for cutting of fruits and vegetables also increase the moisture content by absorption of water through pores of fruits and vegetables. From this it is concluded that these techniques explained in this article, don’t affect the composition and nature of the food product when compared to all other techniques these techniques are recommended to use in small scale and large scale industries. Ohlsson T and Bengtsson N. Minimal processing technologies in the food industries. Woodhead. 2002;304. Sirisha S. Consumer perception and application of edible coatings on cut fruits and vegetables. Osmania University College of Technology, Hyderabad; 2003. Lee CY and Smith NL. Minimal processing of New York apples. New York’s Food and Life Sciences Bulletin. 1995. Food Safety Consortium. Proper packaging and carbon dioxide keeps the color, protects the meat. University of Arkansas, USA;2007. Koseki S and Itoh K. Effect of nitrogen gas packaging on the quality and microbial growth of fresh-cut vegetables under low temperatures. J Food Prot.2002;65:326-32. Wagne AB. New Food Packaging Technique Improves Quality, Extends Shelf Life. 2001. Tien CL, et al. Milk protein coatingsprevent oxidative browning of apples and potatoes. J Food Sci. 2001;66:512. Li P and Barth MM. Impact of edible coatings on nutritional andphysiological changes in lightly processed carrots. Postharvest Biol Technol. 1998;14:51-60. El-Ghaouth A, et al. Antifungal activity ofchitosan on two postharvest pathogens of strawberry fruits. Phytopathology. 1992;82:398-402. El-Ghaouth A, et al. Chitosan coating toextend the storage life of tomatoes. J Hortic Sci. 1992;27:1016-1018. Cheah LH, et al. Chitosan coating for inhibition ofsclerotiniarot of carrots. NZ J Crop Hortic Sci. 1997;25:89-92. Li H and Yu T. Effect of chitosan on incidence of brown rot, quality and physiological attributes of postharvest peach fruit. J Sci Food Agric. 2000;81:269-274. Zhang D and Quantick PC. Effects of chitosan coating on enzymaticbrowning and decay during postharvest storage of litchi (Litchi chinensisSonn) fruit.Postharvest Biol Technol. 1997;12:195-202. Zhang D and Quantick PC. Antifungal effects of chitosan coating on freshstrawberries and raspberries during storage. J Hortic Sci Biotechnol. 1998;73:763-767. Krochta JM. FAQ about edible films and coatings. Dairybiz. 2001. Kester JJ and Fennema OR. Edible films and coatings: A review. Food Technol. 1986;40:47-59. Banker GS. Film coating theory and practice. J Pharm Sci. 1966;55:81-89. Baldwin EA, et al. Use of edible coatingsto preserve quality of lightly (and slightly) processed products. Crit Rev Food Sci Nutr. 1995;35:509-52. Krochta JM and Mulder-Johnston CD. Edible and biodegradable polymer films: Challenges and Opportunities. Food Technol. 1997;51:61-74. McHugh TH and Krochta JM. Sorbitol vs glycerol plasticized whey proteinedible films: Integrated oxygen permeability and tensile property evaluation. J Agric Food Chem. 1994;42:41-45. Mahmoud R and Savello PA. Mechanical properties of and water vaportransferability through whey protein films. J Dairy Sci. 1992;75:942-946. Guilbert S, et al. Prolongation of the shelf- life of perishable food products using biodegradable films and coatings. Lebensmittel-Wissenschaft und-Technologie. 1996;29:10-17. Daniel L and Yanyun Z. Innovations in the development and application of edible coatings for fresh and minimally processed fruits and vegetables. Compr Rev Food Sci Food Saf. 2007;6.